For over 20 years now we have been providing quality products and fast friendly service to not only the sign industry for promotional vinyl signs, but trade show banners, pop up displays and banner stands. We are proud to display our product line to you today and offer you the many products that small businesses need in today's event and expo trade show environment. We are commonly asked if we provide local service to Arizona. The answer is a resounding yes! Not only do we have a local office to service your signage and trade show needs, we will deliver these products direct to your home or office personally when we can or ship them. Most of our products are shipped in two business days max so your leadtime is very short here in Arizona. 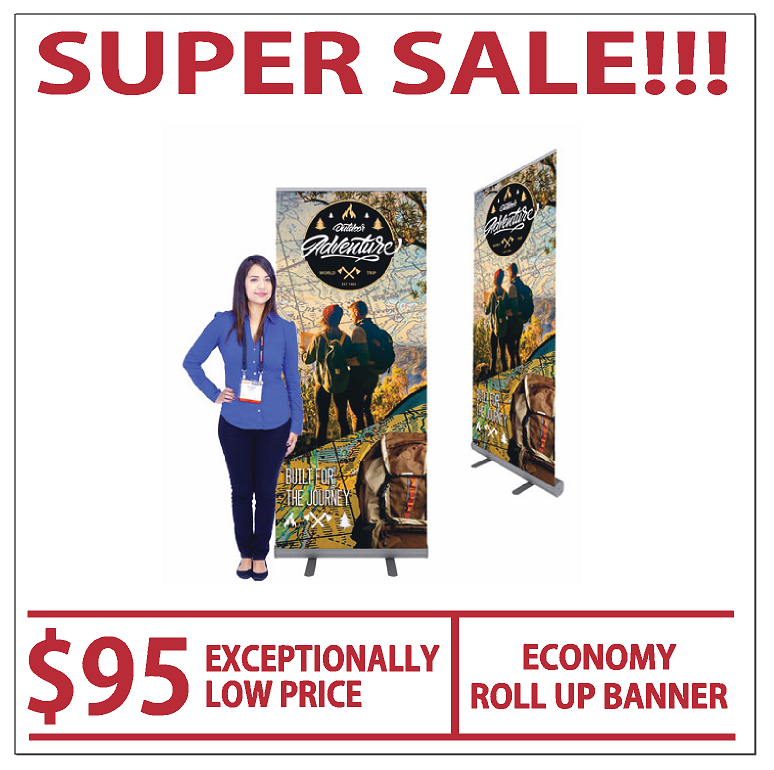 Many people also find that our prices on banner stands, vinyl banners and trade show displays are very low so we receive many of our orders from out of state and ship all throughout the USA. We have offices on the west coast in California and the east coast in Pennsylvania fully stocked with banner stands, pop up displays and fabric stretch displays ready to go and this shortens your leadtime. You may also find it convenient to order from us where you are and have your display products hand delivered to your show here in Phoenix or Scottsdale. This is an area where we excel. With our experience and deep roots in the Valley of the Sun, we know this city. We can get your order right to your hotel quickly and ready to display. It only takes a simple coordinated effort to do so. You can rest easy knowing you hired the right company for your next trade show display needs when you hire us and we look forward to working with you!